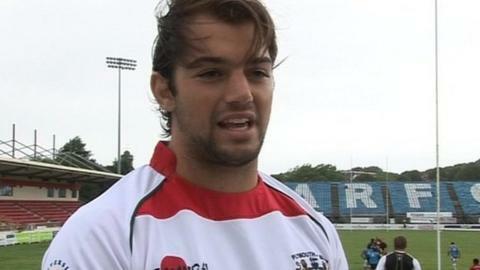 Cornish Pirates have signed Canadian international Brett Beukeboom from Plymouth Albion on a two-year contract. The 24-year-old lock will join up with fellow countrymen Matt Evans and Aaron Carpenter at the Championship club. Beukeboom spent three seasons with Albion, who were relegated from the second tier this season. "Brett impressed us during his time at Albion and received glowing references from Matt and Aaron," director of rugby Ian Davies told the Pirates' website. "Not only in terms of the type of character he has but also his work ethic and attitude to improve." Pirates have already extended the contracts of flanker Alex Cheeseman and winger Kyle Moyle, as well as four other players. Amongst other additions, Davies has also brought in scrum-half Alex Day from Northampton.